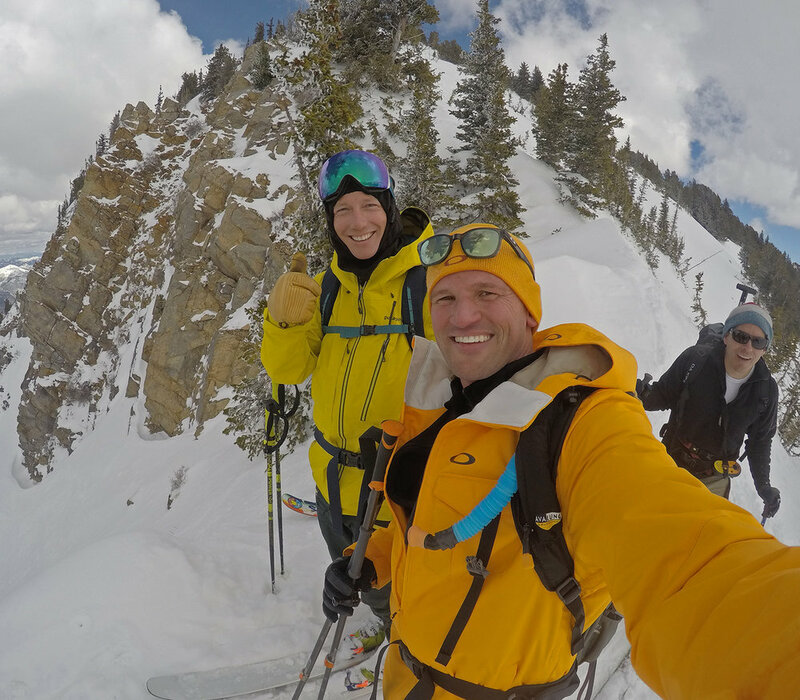 Below is a video that shows our journey to the top of the Toledo chute and the soft snow on the way down. The video was shot using the GoPro HERO4 Black. 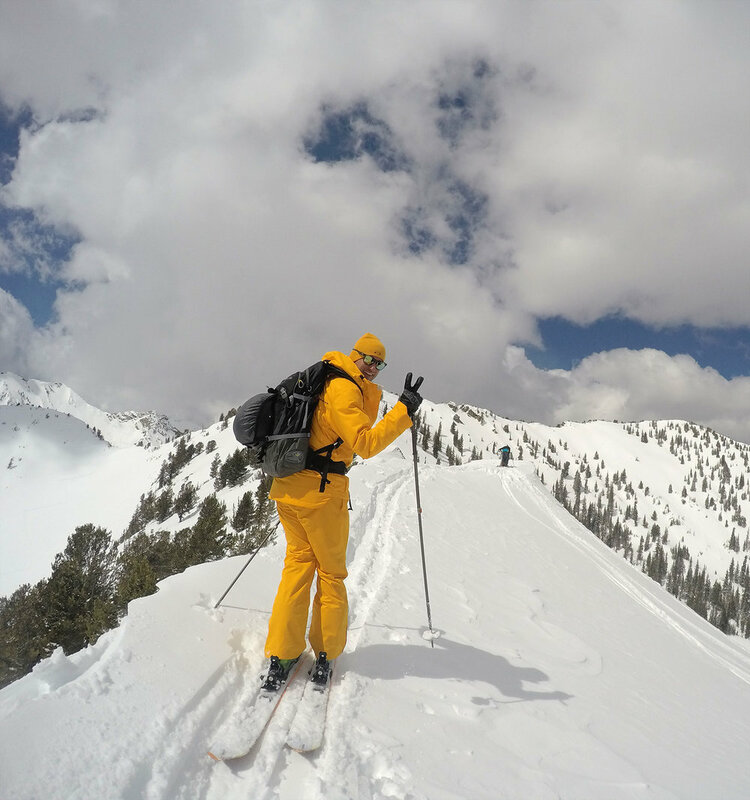 To find the trail to approach the Toledo Chute—you'll pass the first parking lot of Alta Ski Resort and you'll pass the Our Lady of the Snows Center on your left. You'll try to find a parking spot in the next parking lot. You see other backcountry skiers getting ready. The later in the day the more you'll see. Make sure your understand the snow and avalanche conditions. You're first goal is to be safe. 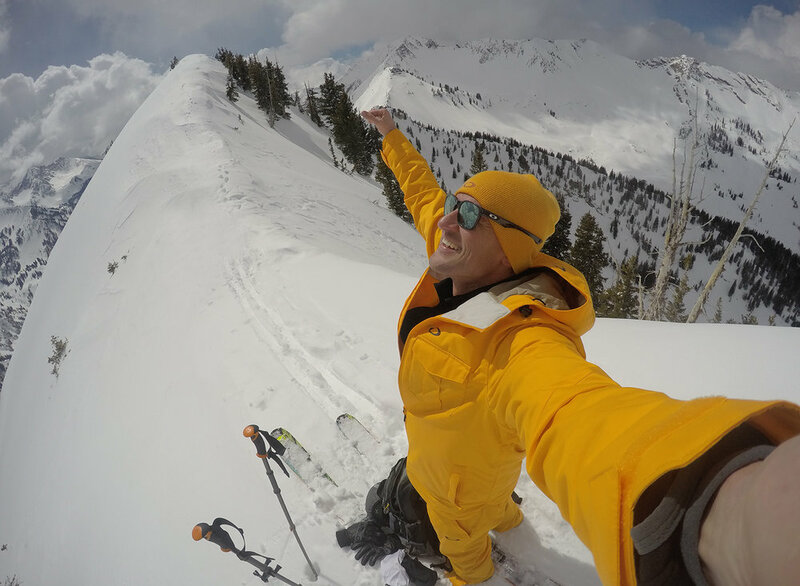 I'm grateful to the Utah Avalanche Center and their daily reports that can help you understand the snow conditions, but you should also take an Avalanche training course to make your own assessments and judge your own risk. You can also download their free mobile app here. 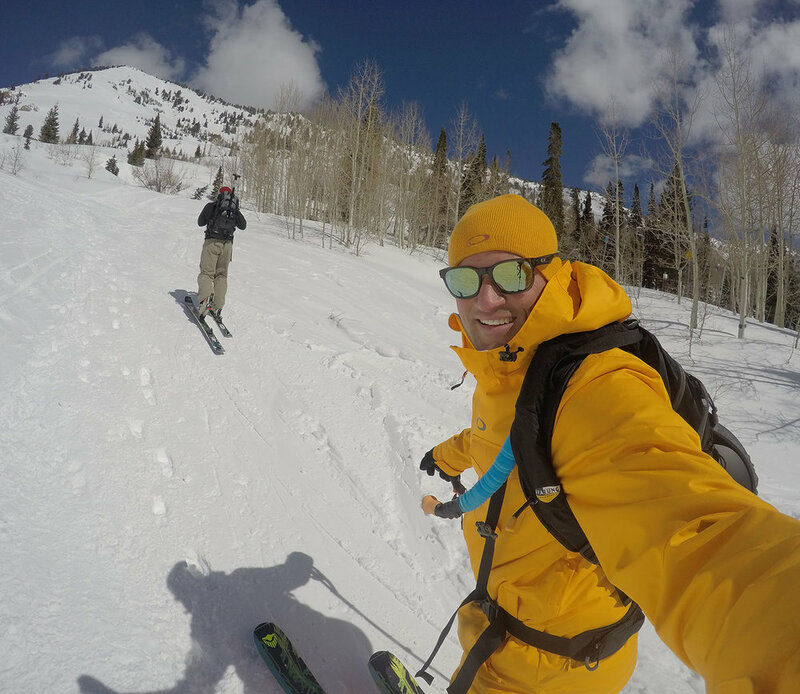 Another app that is extremely helpful in planning your backcountry ski tours in the Wasatch mountains is the Wasatch Backcountry Skiing Map. It will cost you, but it will be well worth it. 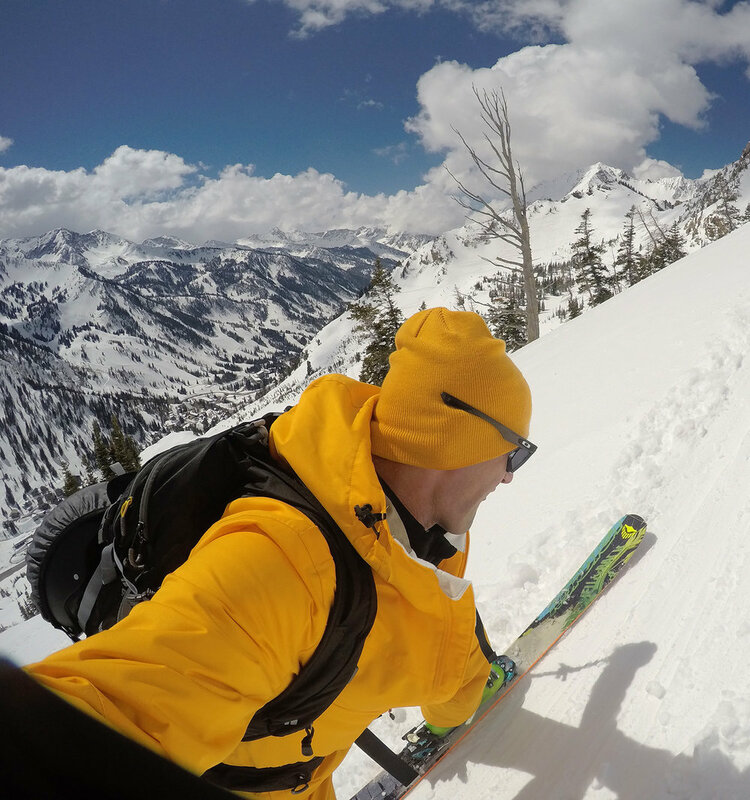 Using the Wasatch Backcountry Skiing Map, you'll see the Toledo Chute. You're can approach it just to the left of the Flagstaff shoulder and head to the Toledo Bowl. This approach is pretty flat until you get to the bowl. This day we decided to take the Flagstaff shoulder with hopes of skiing Two Dogs in Upper Days. Then we would climb back up out of upper days and head over to the Toledo Chute. This is definitely the long route if you really are just going to hit the Toledo Chute. The Flagstaff Shoulder is beautiful and comes with awesome views of Snowbird and Alta. Here is another shot from the GoPro HERO4 Black. I typically set the GoPro to 0.5 second time lapse intervals to capture photos during the climb and when I'm skiing. The summit to the top of Flagstaff could take you anywhere from 30-60 minutes depending on the group you're with. Once we got to the top—we had to make a change of plans. We didn't have enough time to ski Upper Days. So we had to spend time traversing over to the Toledo Chute. More exercise and beautiful views. Here is another picture from along the ridge. You can see the Toledo Chute on the left side of the picture. One of the benefits of our traverse was running into Pep Fujas. Pep was getting dropped off on the top of the summit by heli from the Powerbird company. Jealous—but we were on the same peak non the less. Pep is a professional skier who was skiing with some skiers who won the K2 ski trip with Pep contest. You can see the video they filmed that day here. Pep is a down to earth and humble guy. We took a quick picture and headed over to Toledo Chute. It's kind of tricky because to get to the Toledo Chute you have to ski down 300 feet to the next ridge line. 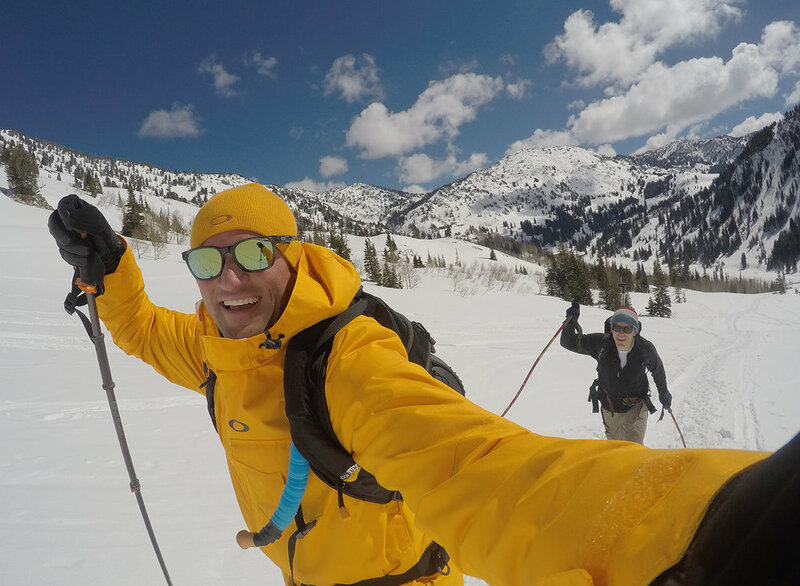 We kept our skins on our skis and skied down to access the next traverse. After about 15 minutes of traversing you're on the top of the Toledo Chute. Once again, beautiful views! 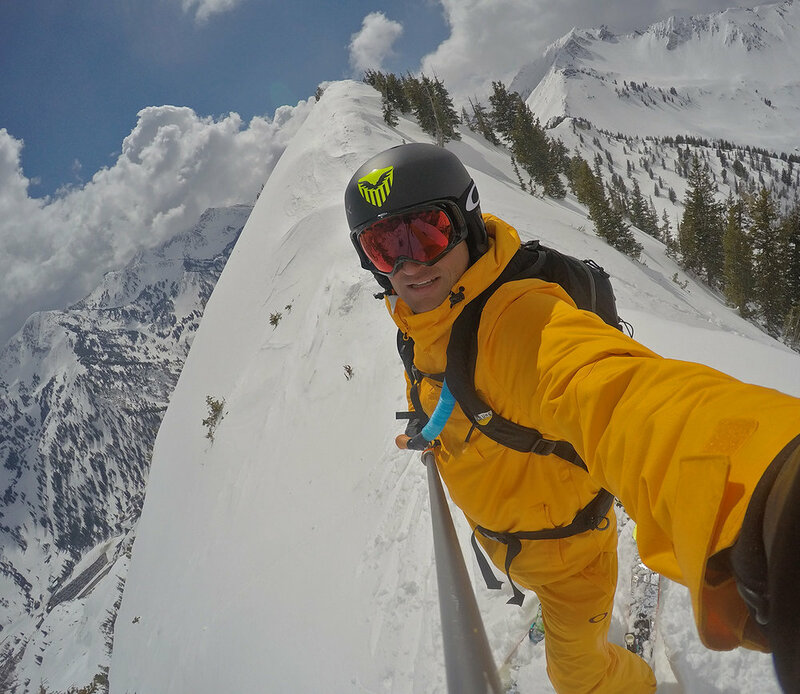 That is one thing that never gets old when you're chasing peaks and soft Utah snow. There's nothing better than climbing a mountain on skis and arriving at the top of the summit. It teaches you a simple lesson each time and that is—just move forward with one foot in front of the other. You'll make it to the summit of the mountain and just like life—you'll have many mountains to conquer. 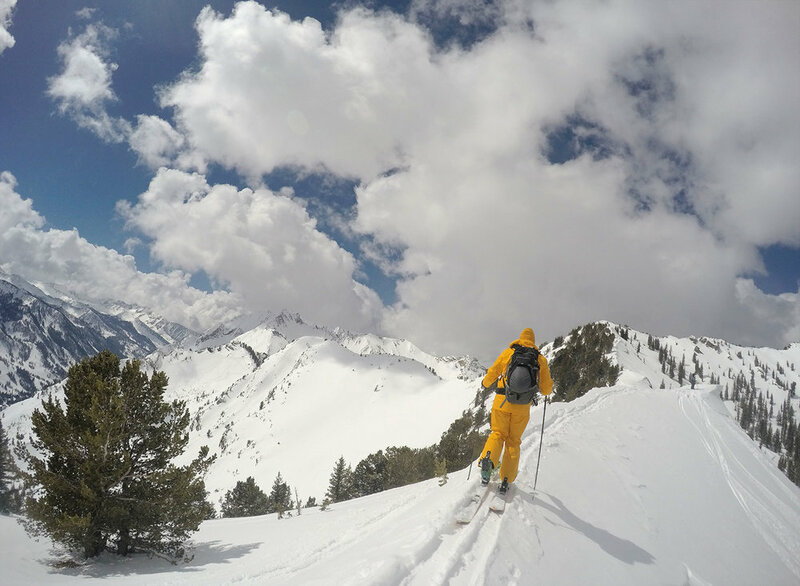 I do enjoy the up of ski touring, but I love the down. The Toledo Chute is awesome. A nice steep shot that will get your adrenaline going. You also get great views of Alta and Snowbird. Then it's off to the bottom. You can watch the video at the top of the blog to see our full journey to the Toledo Chute. Every time I get done with a ski tour, I feel very satisfied. I'm grateful to have climbed a mountain and skied it safe. I'm grateful for the life lessons the mountain taught me that day and the inspiration it brings to my life. Until next time—stay safe my friends and live great! Video and photos were taken using the GoPro HERO4 Black. If you haven't invested in a GoPro camera yet—now is the time with their newest GoPro HERO5 and HERO5 Session. The user interface is more easy than ever and both cameras come with voice activated picture taken and video recording. Awesome! I have owned every GoPro since the start. The ROI of this powerful camera is awesome. Go treat yourself!